Buying a ready made woollen soap for washing is not necessarily needed and can be made from scraps of soap. That's if you have the ability to make it or have the time. If you don't, then that's ok. 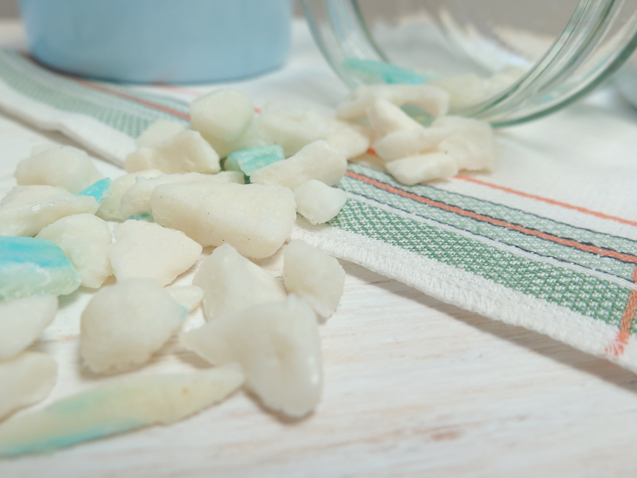 Living a low-waste lifestyle does not mean you have to make everything from scratch, with many laundry items available from a bulk store and local soap makers. 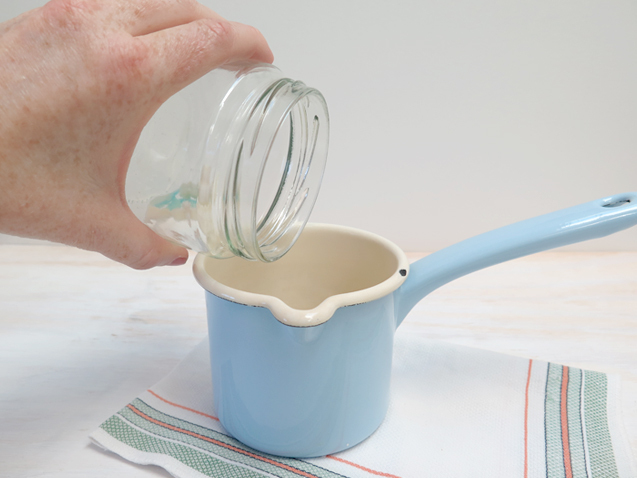 But this was one DIY swap I wanted to share since it's on the easier side of homemade recipes and there is no need to buy anything for it, plus you're using something often forgotten and thrown in the bin or lost down the drain. 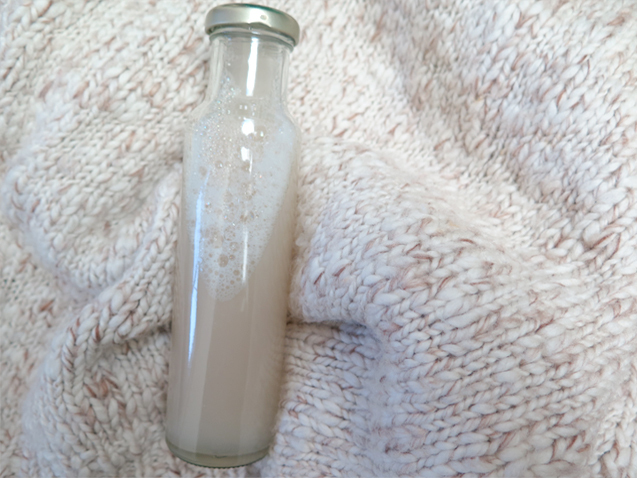 I primarily use this recipe to make wool wash but can also works for liquid soap too. Over the year I save up the little ends of soap. You know the ones, to small to be used on the body or face, often slipping through fingers onto the floor of the shower. I could try to squish them onto new bars of soap. Instead I to collect them in an old glass jar until I have 2 tablespoons cup worth. These ends of soap come from the bathroom and kitchen, since we use the same brand of an olive oil soap bar everywhere in the house and on ourselves (read all my low-waste beauty and body swaps). Place the soap ends into the pot and cover with 1.5 cups of water. Bring to a boil on the stove for 5 minutes, reduce heat to low and simmer for another 15 stirring throughout. I usually do this while cooking. Be warned the mixture can bubble over if left unattended in a small pot like mine. Stirring will stop any soapy liquid spewing all over your cooktop. If the soap has not melted and mixed with the water you might need to keep it on the stove for another 5 minutes. The mixture will cook down to 1 cup. Add one drop of eucalyptus oil for its anti-microbial disinfectant properties and ability to help treat stains on clothes. 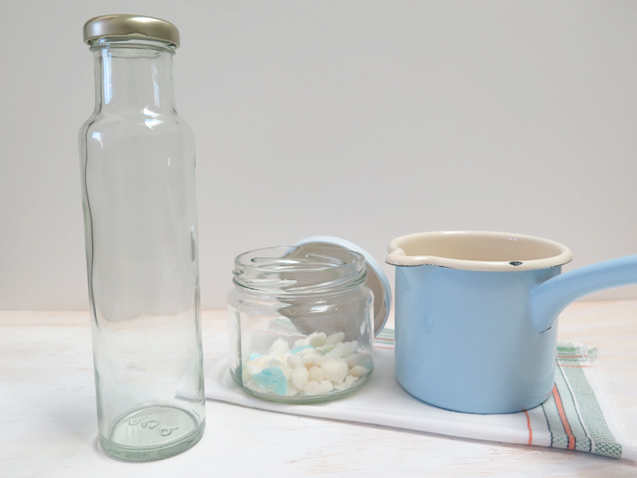 Remove and let cool before transferring to a glass bottle. To wash a nappy cover or sweater use (¼ – ½ teaspoon). I have never used this in the washing machine and probably wouldn't, just in case. Woollens are better washed by hand to reduce pils, shrinkage (depending on the wool and knit) and possible felting. Wool is a wonderful natural fabric for its durability, breathability and stretch but should be treated with care, like most of our things. I use a sweater comb to remove any pils. Wool garments don't require frequent washing as it naturally repels dirt, lint, dust and some stains making it easier to spot clean. I'm all about spot cleaning and extending the life of my clothes by taking care of them. My wool wash is mainly used for our sons wool nappy covers and before I store all the winter woollens away at the end of Spring. I simply hang out my woollens between wears to air them out unless they really smell. The soap we use is an olive oil soap, similar to a traditional Castile soap. Woollens and most natural fibres do better with a mild soap over detergents. Alternatively, my recipe to make liquid soap from a bar of soap can be used for a home made DIY wool wash too or vice versa. 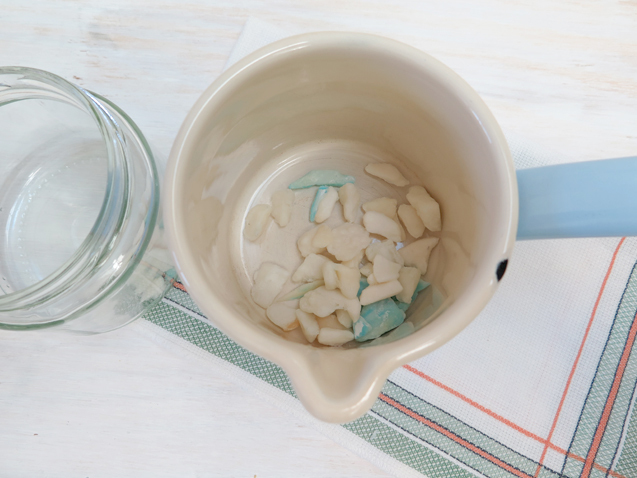 You would need to save at least one cup of soap ends to one and half litres of water.